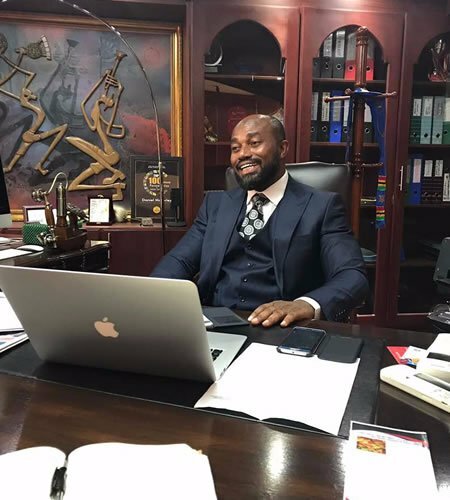 McDan Group CEO, Dr Daniel McKorley has, for a second time rescued the Ghana Tennis Federation (GTF) by paying accrued affiliation fees of $17,000 to the International Tennis Federation (ITF). Dr McKorley, who is also the founder of the McDan Open West Africa Tennis tournaments, took the decision on hearing the predicament of the GTF in a Joy Sports online story. An official presentation of the cheque for $17,000 will be made on Thursday and this will help restore Ghana’s status with the ITF. Mr Isaac Aboagye-Duah, President of the GTF, confirmed this to Joy Sports after a conversation with Dr McKorley. The McDan CEO extended a similar gesture by paying about $15000 when Ghana was banned, some six years ago for non-payment of affiliation fees. Ahead of the presentation GTF President Isaac Aboagye-Duah says his outfit is greatly relieved. “We are excited but a bit sad at the same time because it seems this is a burden only McDan bears. He has been there for us all these years and has promised to continue with his McDan Open West Africa Tournament, and sponsoring the national under-12 team,” he told Joy Sports. According to the Ghana tennis chief, other things aside Ghana’s status with the ITF are guaranteed. They include the junior team’s participation in the African Junior Champions, hosting the wheelchair and Under-18 Futures tournaments. “The GTF board and the players are very elated at the bailout. Now we can resume planning for all these programmes. We are eternally grateful to Dr Daniel McKorley,” Mr Aboagye Duah added. GTF in the last seven years has gone in and out of a major ban from the ITF following the failure to pay for the period covering 2011 to 2013. The GTF rescued by McDan Group CEO Dr. Daniel McKorley, who also owns and sponsors the McDan Open West Africa Tennis Tournament. He paid close to $15,000 in total. Dr McKorley also sponsored a pre-tournament training camp in Morocco for the national team ahead of their participation in the Davis Cup. The Golden Rackets team is expected to participate in this year’s Davis Cup competition in Nairobi, Kenya from June 18. The McDan Group CEO, who is also the Gugba Naa of Tamale and Development Chief of the Ada Traditional Area, has proven a benefactor of the sport in the last 8 years with major interventions. Aside from establishing and sponsoring his McDan Open West Africa and McDan Juniors tournaments, Dr McKorley has also been sponsoring the national Junior tennis teams for their participation in tournaments as well as their training camps. He also sponsored the senior national team for a two-week training camp in Morocco ahead of Ghana’s participation in the last edition of the Davis Cup. Ahead of the 2017 edition of the McDan West Africa Tournament, Dr McKorley painted and refurbished the tennis courts of the Accra Stadium to the tune of GHC 50,000. When Ghana’s Duo of George Darko and Wisdom Na Adzirago won Ghana’s first historic double’s gold medal at the 2015 All Africa Games, Dr McKorley donated a total of GHC 24,000 to the whole team as a reward. The best eight players for the maiden edition of the McDan Juniors have also been adopted by his McDan Foundation and will be sponsored throughout their education and tennis development till the tertiary level. At last year’s McDan Open West Africa Final Dr McKorley donated a 17-seater Mercedes Benz Sprinter Bus to the GTF to ease the transportation burdens of the national junior teams. Meanwhile, this year’s edition of the McDan Open West Africa Tournament will come off between July 23 and 29.